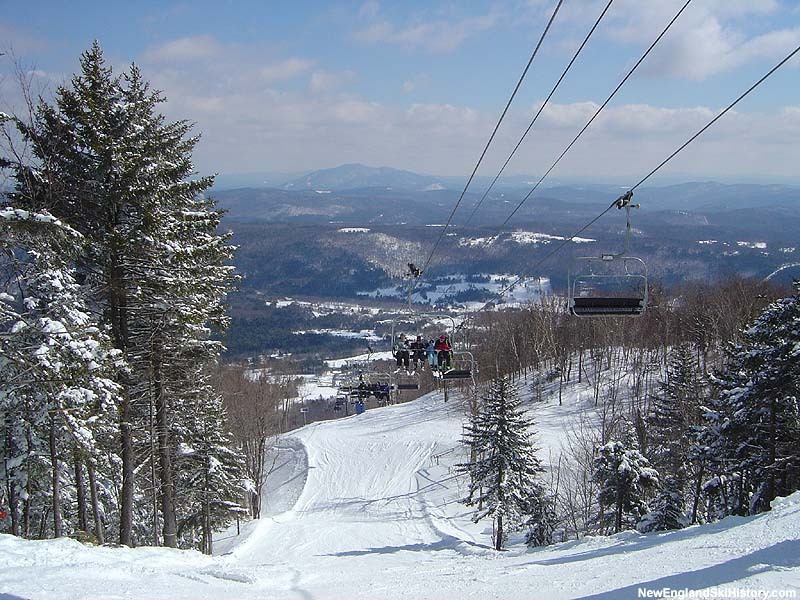 With a fairly cramped main base area, Okemo looked to build a second access point. 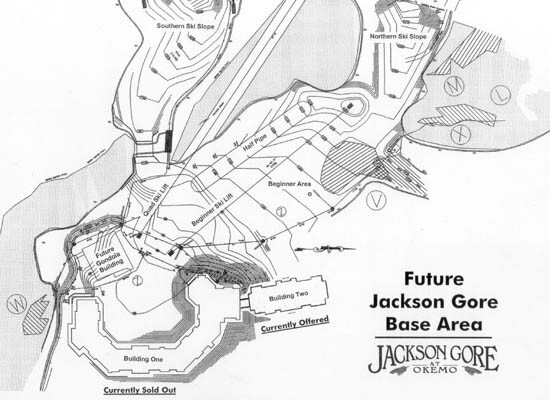 As such, plans were made to expand northward into an area to be known as Jackson Gore. 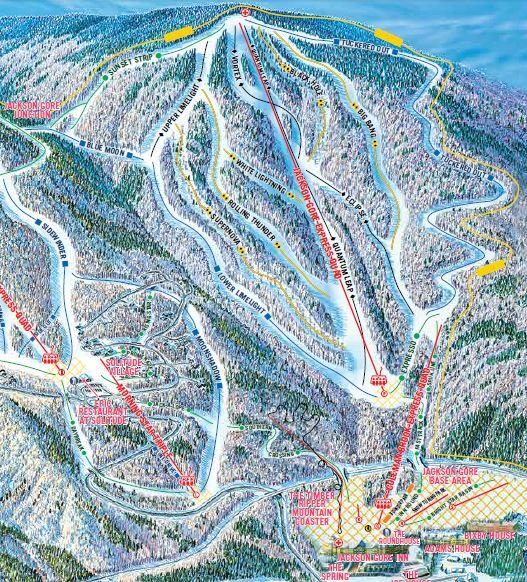 The proposal included a new base lodge, parking lots, lodging, housing, a gondola lift, one high speed quad, and two fixed grip quads. 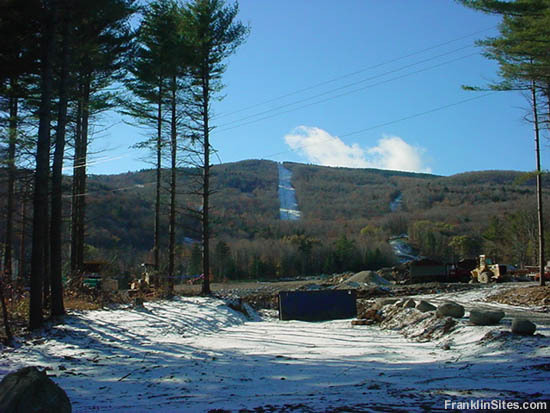 After nearly half a decade of planning, permit, and appeals processes, Okemo broke ground on Jackson Gore in 2001, and opened the first portion of the area for the 2002-2003 season. 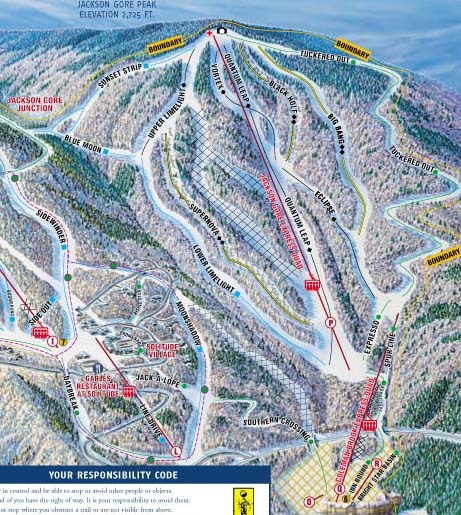 7 new trails over 1,260 vertical feet were opened, serviced by a new 4,381 foot long Leitner-Poma high speed detachable quad named Jackson Gore Express. 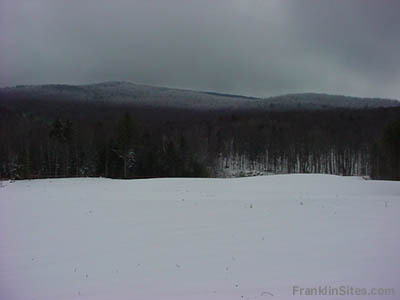 While the new base area was visible from the new terrain, it was not yet connected. 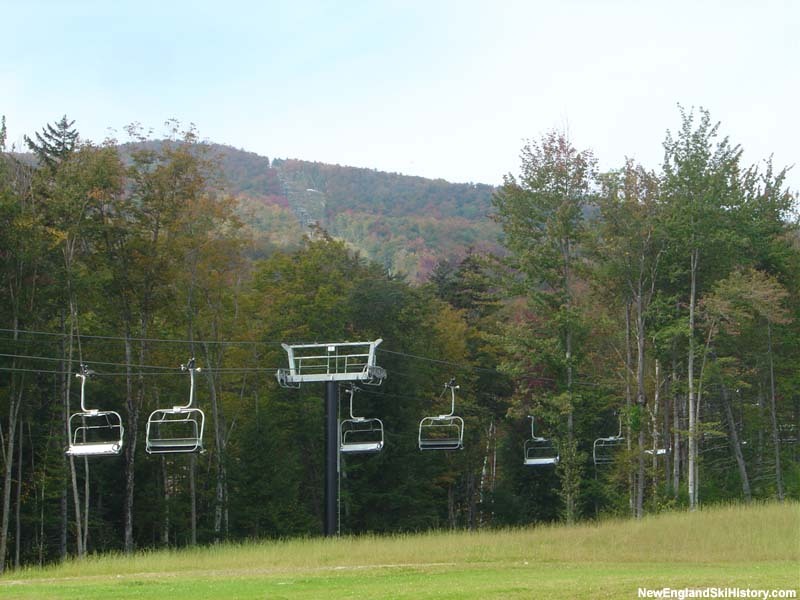 The new base area opened for the 2003-2004 season with some new beginner trails, two surface lifts, and a 2,530 foot long by 390 vertical foot Leitner-Poma high speed quad (Coleman Brook Express). 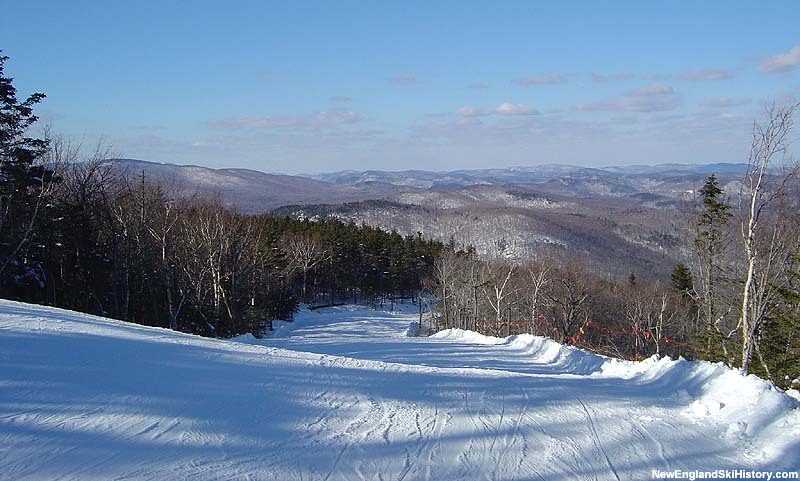 Additional trails were rolled out on the new peak throughout the balance of the decade. It is not known if the gondola is still planned.